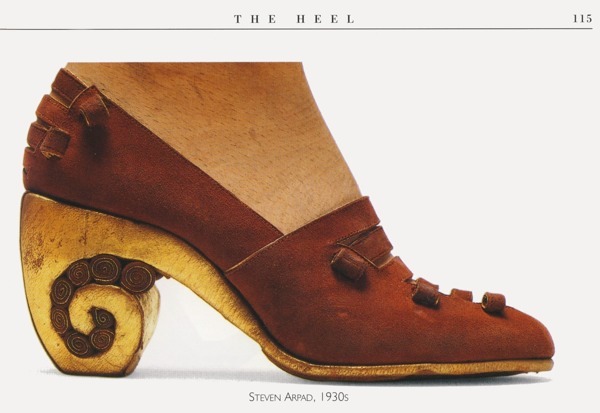 Although mantled by lack of biographical information, Steven Arpad is widely known and so are his designs, even the most peculiar like this heel called the "ramshorn" by Linda O'Keeffe (Shoes - Workman Publishing, 2006) or the one similar to a Ionic capital kept at the Metropolitan Museum of Art. Now enter David Levin from New York, almost homonymous of David E. Levin (A.K.A. David Evins) but no relation. 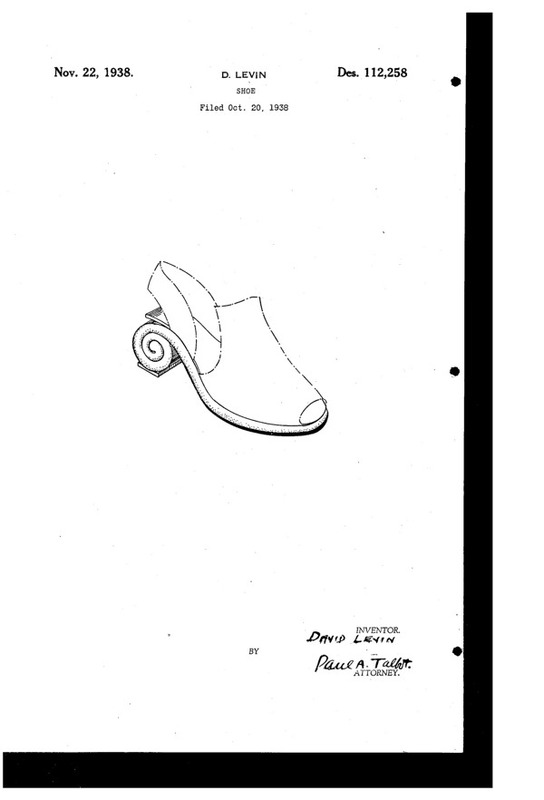 Back in October 1938 he submitted a patent for "a new, original, and ornamental design for a shoe". 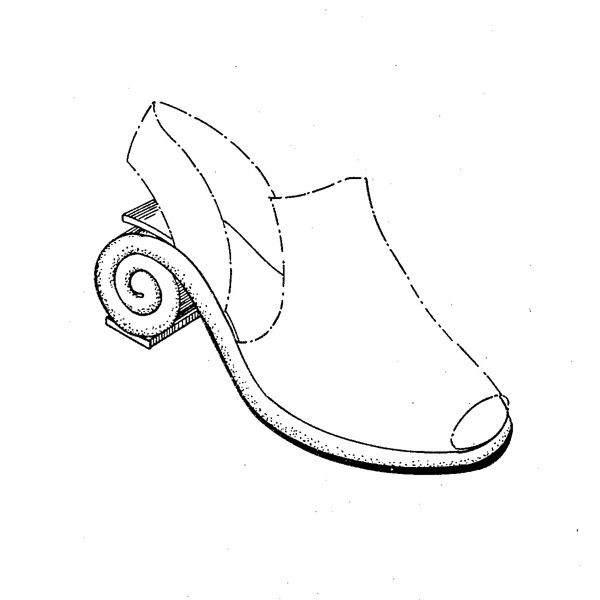 Striking: similar to the "ramshorn" as it is one continuos form with the sole. No way to say who came first and frankly it's not that important. What matter is that we've found another obscure designer worth of note. Besides being an American citizen residing in the city of New York, we only know that David Levin was most active across two decades (30s/40s). 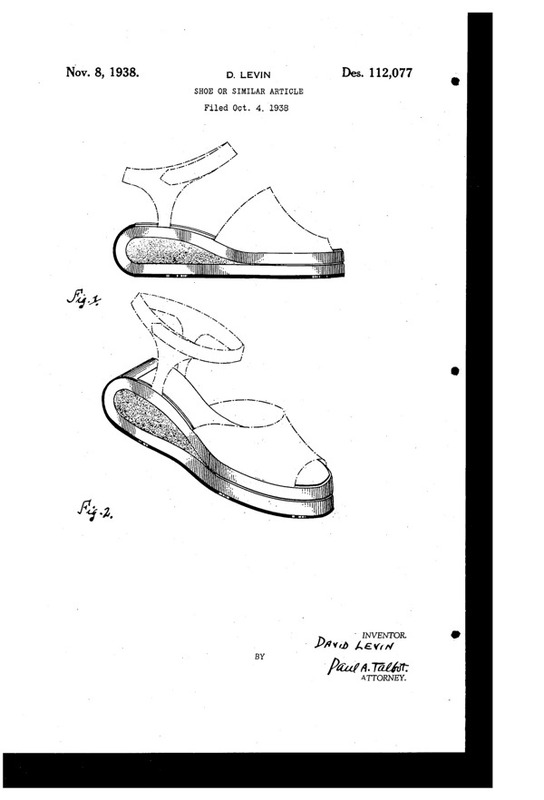 His patents, the majority of it, were innovative and original like this one submitted at the same time as the one above. 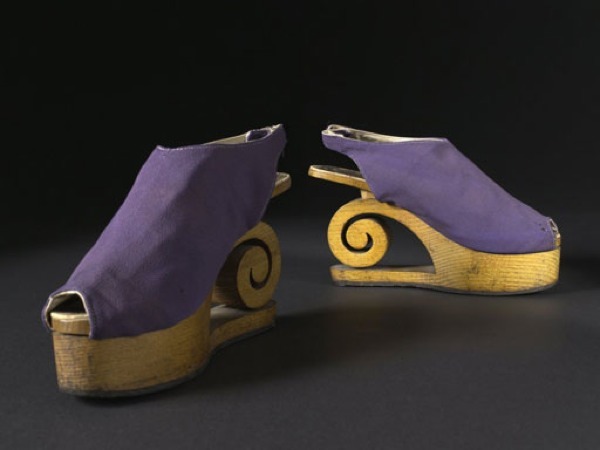 We chose it because it made possible to identify Levin as the uncredited designer for a model created for Saks Fith Avenue kept, once again, at the Metropolitan Museum of Art, not to mention a more accurate dating. 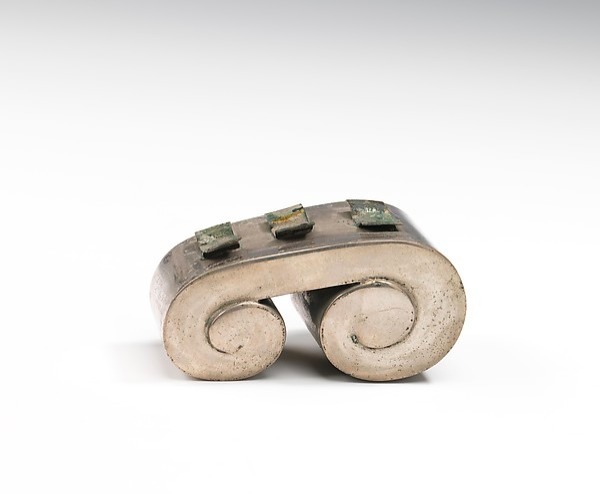 The MET acknowledged our finding and now David Levin is not uncredited anymore. Good. 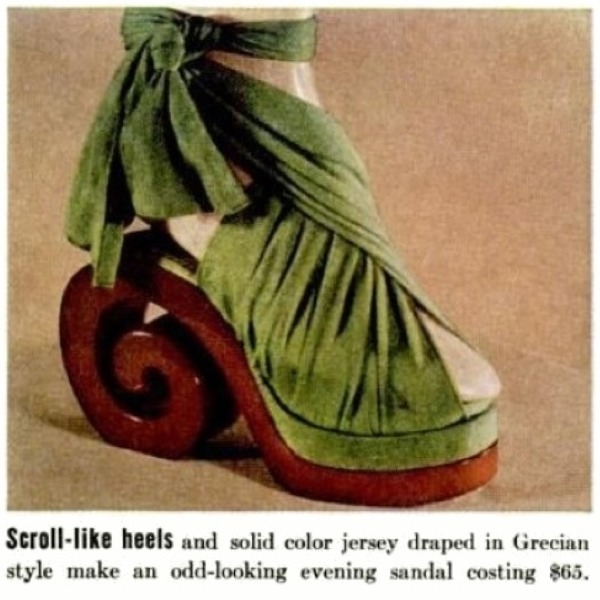 The Arpad/Levin heel gained momentum: here it is, straight from LIFE magazine (April 3, 1939), a full color page entitled "PARIS IMPORT FOR COPYING" from which we highlight the scroll-like heel, plus the scroll-like heel augmented two years later.